I just entered another blog giveaway contest. It's the first one in a few weeks. I'm trying for beautiful custom family tree necklace from Lisa Leonard Designs. She has so many beautiful pieces on her site, including some cool bracelets and keychains. 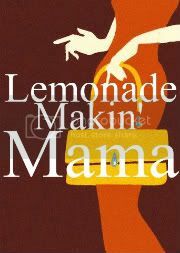 If you'd like to try your luck here, venture over to Lemonade Makin' Mama's blog to give it a shot. It's super easy to try. Thankyou so much for posting this! :) Lisa sure does amazing work... I'm a huge fan of hers!